The value of any personal injury case depends upon more than just the type of injury sustained. Obviously, the extent of the injury is very important, together with the accompanying pain and suffering, medical bills, lost wages, and future damages. However, before we analyze these items of damage, we have to determine issues of liability – in other words, who was at fault in causing an accident. The determination of fault in a hit-in-the rear motor vehicle accident, or in an accident where one party blows a red light or stop sign is easy. Trying to accomplish that same task in a fall down accident is rarely as easy. 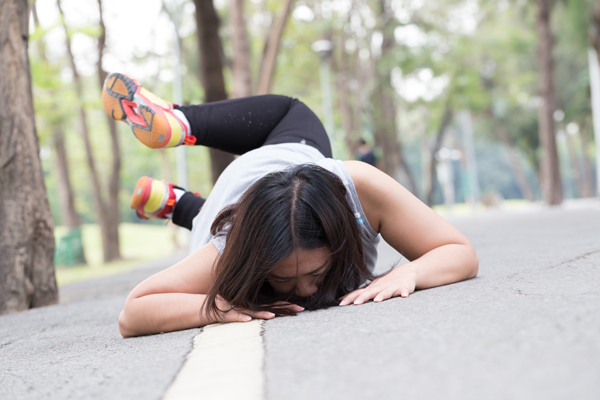 The fact that a fall occurs on someone else’s property does not necessarily mean that the property owner is responsible, or liable, for the injuries sustained in that accident. Even a fall on debris, or on spilled rice in a supermarket aisle might not result in an owner being liable, because the property owner has various defenses available to it. One such defense is that the condition over which the injured party fell was “open and obvious, and not inherently dangerous”. Tripping over boxes in a supermarket aisle, for instance, might not impose liability upon the store owner, because there is nothing inherently dangerous about such boxes, and the condition was open and obvious. The same might be true about tripping over a clothing rack in a department store, even if clothing on the floor obscures the bottom of the rack. Another defense is the “trivial defect” defense, in which a property owner argues that the defect – a slightly unleveled floor tile, or a minor crack in a concrete walkway – was so trivial as to not be actionable. There is no minimal dimension test in New York, so that an injured party won’t lose a case just because a defect is less than a specific measurement. Instead, Courts take into account the surrounding circumstances behind a fall in determining whether a defect was trivial or not. Perhaps the defense relied upon most often is that the property owner did not have notice of the defect which caused the fall. While water obviously should not be on a supermarket floor, a party who falls on that water has to offer proof that the supermarket’s employees either knew that it was present, or that the water was on the floor for such a lengthy period of time that the employees should have known it was there. When you call our firm with a new case, we will ask many detailed and specific questions in order to determine the precise facts of the accident. Of course we’ll want to know about any medical diagnoses, hospital and medical treatments and procedures that you have undergone, but before we get to that we’ll want to know exactly how the accident occurred. The answers to those questions will determine whether we think you have a case. There are things that you can do to help the process. Try and remember the specific facts of the accident. Did you feel your foot slip, or trip (yes, there’s a difference between a “slip” and a “trip”). Was there a crack, or hole in a sidewalk? What exactly was it that caused you to fall at your local supermarket, and how did the floor look at the time? What were the circumstances surrounding the area where you fell? You won’t be at your best when you get hurt, but if you’re physically able to do so, take pictures of the scene. If you’re with someone, ask that person to take pictures, and to get names of witnesses. The White Plains accident attorneys at Worby Vecchio Edelman have well over 100 years of combined experience in representing persons injured in all types of accidents. Call us if you or a loved one were injured. We’ll explain your rights, answer all of your questions, and keep you informed every step of the way. We work on contingency, so we only get paid if we recover money on your case; there’s no financial risk to you.